Monkee Nuts! : Listen To The Band * A Monkee Broadcast Moment! Listen To The Band * A Monkee Broadcast Moment! 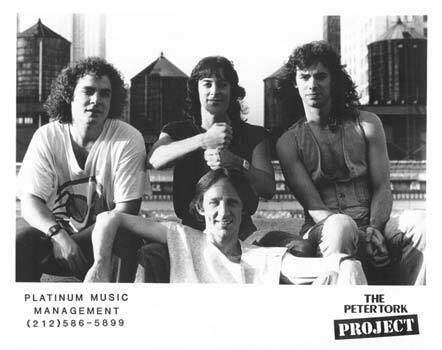 While Pete swapped out bands in the late 70's and early 80's- Cottonmouth, The Monkees Show, The New Monks and finally winding up with The Peter Tork Project in 1983, he played the nightclubs to no end. In October 1983, Peter found himself in Chicago heading a concert with Butch Patrick and his group to promote the show at Tuts in Chicago that same evening. This is an excerpt from that broadcast. Very funny! Note: Peter's tone when Garry mentions Mike being a video pioneer. !! READ ME FIRST !! HOW THIS BLOG WILL WORK. Initially I will be parting with some Monkee related items, here and on Ebay. After I've parted with some, I will continue the blog by posting and displaying rare items as well as many unusual photos. Check back occasionally for other items that I will be adding and selling! If you see an item(s) that you want, EMAIL ME FIRST to check availability as that item may have been sold and I haven't had the chance to update the blog to reflect that. Type that item name(s) that interest you in the email subject field. Tell me what state OR country you live in and I'll calculate postage. Then I'll email you a Paypal invoice... OR ... arrange for payment via money order. NOTE: DO NOT SEND PAYPAL PAYMENTS TO THE EMAIL ATTACHED TO THIS BLOG! I only have one of each of these items, so they are strictly on a first come/first served basis. Also keep in mind, that I am not a dealer and do not do this for a living. I am just a fan selling off some of my 28 year old collection. Thusly, it may take me a day or so to let you know if I still have the item you are looking for. Please be patient! With that said, let's have some fun! Listen To The Band * A Monkee Music Break! Rhino Test Pressings *5 LP lot* Unplayed!